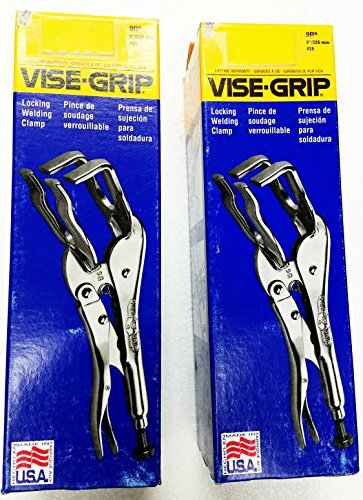 ' Locking Welding Clamp, Size 9 Inches, Jaw Width 2 3/4 Inches, Throat Depth 1 5/8 Inches, Jaw Adjustment ' ' Made in USA The Vise-Grip Locking Welding Clamp locks work in proper Alignment. Frees both hands for doing the welding job. If you have any questions about this product by American Tool Inc, contact us by completing and submitting the form below. If you are looking for a specif part number, please include it with your message.